The last remaining Hindi language channels on Freeview have been removed, after a short stint on the digital terrestrial TV platform. Rishtey (channel 77) and Colors HD (channel 114) were withdrawn from Freeview on Wednesday lunchtime, just over six weeks since sister channel Rishtey Cineplex was taken off Freeview. Both services had limited coverage on Freeview, and couldn't be received in all locations. The removal comes two years after the first Viacom18 service, Rishtey, was launched on Freeview. Colors HD was only added to the platform five months ago, when it became the first Hindi HD channel on Freeview. 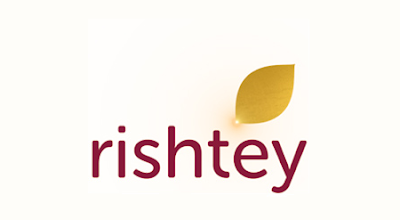 Rishtey hit the headlines in December 2015 when it pulled its Freeview service without any notice or explanation to viewers, before reinstating it again in 2016. Behind the changes is a new pay TV deal between channel owner Viacom18 and Sky, which sees Rishtey and Colors move to Sky's entry-level "original pack" effective 18th August 2017. It's a move that runs in the opposite direction of many recent carriage deals, which have seen broadcasters such as Discovery and A+E Networks secure free-to-air outlets in the UK. On satellite, the previously free-to-air signals of Rishtey, Rishtey Cineplex and Colors are being encrypted, meaning it will no longer be possible to receive the channels on free-to-air satellite receivers in either the UK or Europe. Rishtey and Colors were already removed from the Freesat EPG at the beginning of the month when their carriage deal expired. Sky subscribers can find Rishtey on 822, Rishtey Cineplex on 797, Colors on 786. Online, streaming TV provider TVPlayer has already moved Rishtey and Colors out of the free-to-view offering and into the premium TVPlayer Plus service. On cable, the channels continue to be able on Virgin Media. Rishtey is on channel 827, Colors on 826.